WorldStage, the company created by the Scharff Weisberg and Video Applications merger, recently staged a unique and awe-inspiring audiovisual project in cooperation with the Smithsonian’s Hirshhorn Museum and Sculpture Garden that brought multimedia artist Doug Aitken’s ambitious “Song1” piece to life — across the Washington, DC museum’s 725-foot wide circular, outdoor façade. Song1 recently closed a two-month run at Hirshhorn, where the spectacle drew up to 3,000 visitors a night to the museum grounds. The non-narrative, multimedia piece centers on the smoky 1950s doo-wop classic “I Only Have Eyes For You” — and the various humans and inanimate objects that seemingly react to the song’s mesmerizing effect. The massive video projection required exceptional audio quality to create a truly engaging multimedia event worthy of both the museum and Aitken’s artistic vision. WorldStage selected Technomad for the job, strategically placing 20 of the company’s weatherproof loudspeakers to ensure uniform audio patterns over long distances and at close range. The company also specified and installed Technomad PowerChiton waterproof amplifier modules to power the audio projections. Weisberg and his team installed the loudspeakers on a perimeter wall that encloses the Hirshhorn Museum property. The coverage area included the streets, sidewalks and surrounding park, as well as the interior museum plaza. WorldStage installed 12 Technomad Berlin loudspeakers — the largest, most powerful Technomad model — around the wall, arranged and zoned to preserve left/right orientation. The company also installed eight Technomad Vernal loudspeakers — the most compact loudspeaker in the Technomad arsenal — where very short-distance projection was required. This included entry areas and the south side of the property. Weisberg adds that the PowerChiton amplifiers were configured to drive two loudspeakers apiece — using the 1600W PowerChiton4 models for the Berlins and the 500W PowerChiton3 models for the Vernals. 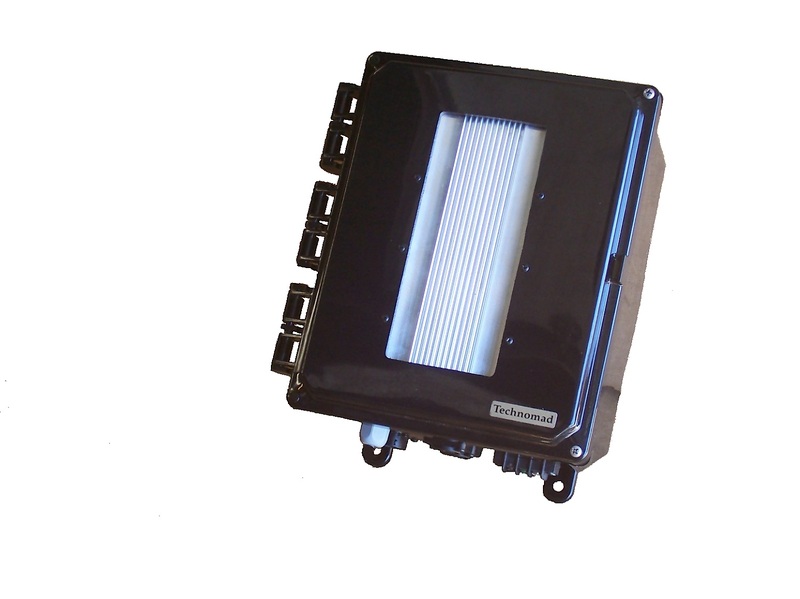 PowerChiton amplifiers are compact, IP66-rated modules that allow integrators to co-locate amplification with loudspeakers to simplify installations — while also offering maximum protection from rain and other outdoor elements with its robust and durable design. “The piece was up for eight weeks in all kinds of weather, and the equipment did not sustain any degradation,” said Weisberg, whose team also designed and fabricated custom mounts for the loudspeakers to ensure exceptional operation during inclement weather. This entry was posted in Articles and tagged Audio, ProAV, Technomad, weatherproof. Bookmark the permalink.